Connect’em, bend’em, stretch’em, spin’em for noise. Connect’em, bend’em, stretch’em, spin’em for noise. 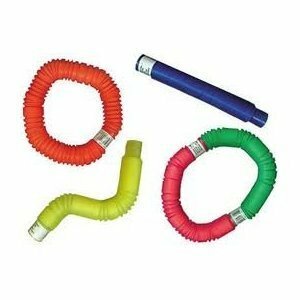 Good for strengthening arms and shoulders and working 2 hands together. Each sold separately. 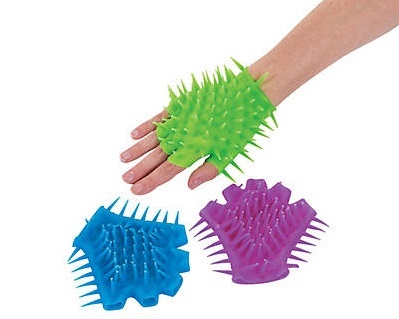 Spiky gloves provide deep pressure.